I Teach Bay: Welcome To Open House 2015-2016! Welcome To Open House 2015-2016! The start of school brings with it the annual Open House. This is one of the few chances you may have during the school year to communicate face to face with large numbers of your parents and family members. What do you want to learn from the parents? What do you want parents to learn from you? What class management information can be shared through a handout or on your website to allow you more time to interact with the parents? 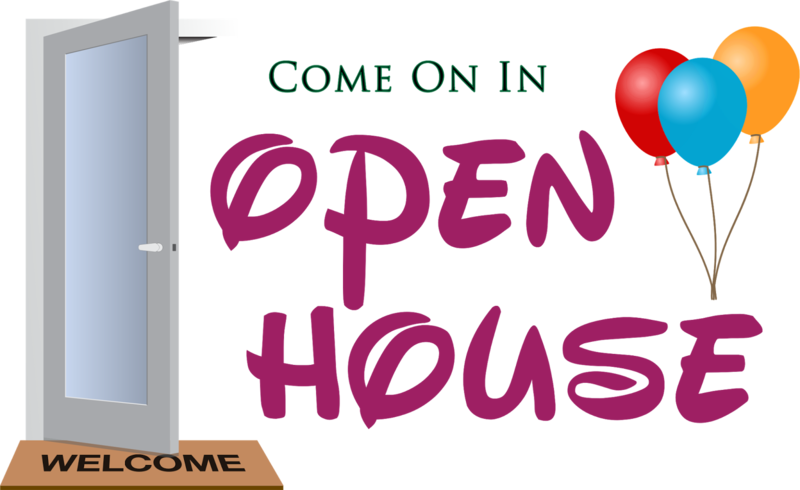 How will you reach out to parents or family members who may not be able to attend the Open House? As we have shifted to new learning standards, more and more parents are wanting to know what they can do to help their child at home. What suggestions can you make on ways to read out loud with children, or have children read to parents? What activities, websites or books could they use together as a family that might connect to topics being learned in class. Math has become a particular hot button topic as parents try to understand why their child's homework may not look like the math they did when they were in school. Suggest some real world math activities that can be done at home to help build a child's understanding of math. Set up learning centers or stations with hands-on math activities for parents to try. What math games might you recommend they play at home? For older students, consider having parents work through a short math task together, or provide them with some real world scenarios where the math skills the children will be learning can be applied. If you teach science, social studies, technology, the arts, physical education, world languages or family consumer science, think about how to give parents some first hand experience doing the kinds of learning activities their students will be doing throughout the year. How might you help parents to see the connection between what their students will be learning in class and what they may be doing at home or in the community? How could you share examples of work students have done in past years to give parents an idea of what typical work looks like for a student in the grade and class? Testing is another topic parents may have questions about. Think through how you can help parents understand the role of formative assessments in your planning of day to day instruction to help their students move their learning forward. What examples might you use to demonstrate the difference between frequent formative assessment and the more long term summative assessments? Where does state testing fit into the picture? One way to explain state testing might be to make a comparison to a check-up at the doctor's office. The doctor will usually show the parent a graph that places a child on a line for height and weight, putting them in the context of other children their age. State Tests do the same thing, only using where a child is in their learning of a set of knowledge and skills. These check-up results can be used to make a long term plan for learning, provide information on whether a child is on track, and help teachers see where a child's strengths and weaknesses are in comparison to a larger group. Finally, parents are looking to teachers to provide information on state testing. Think about how you can share what we know right now about state testing with parents. Ohio State Tests will be in ELA, math, science and social studies. There will only be 1 test for each subject area. The tests have been shortened. Each child will have up to 3 hours to complete each test, but most will be able to finish in less time. Districts can choose to do the test in one sitting or split it into two 90 minute sittings. The tests will be aligned to our Ohio Learning Standards. There will be one testing window that runs from April through the beginning of May. Ohio teachers will be helping to select the items that will be on the tests. We will be using the same computer platform that the science and social studies tests were given on last year, so students and teachers have had experience using it. Paper and pencil tests will be available to districts who may choose to use them for all or part of their testing. http://bealearninghero.org/ Be A Learning Hero is sponsored by the PTA and a number of other national groups that support public education. It has helpful hints for what parents can do at home to help support their student's learning. It includes a Skill Builder Resource that can be used to help understand state test scores and what do with them. http://www.ohiopta.org/ This is the homepage of the Ohio PTA. It includes parent friendly info on Ohio's Learning Standards. http://education.ohio.gov/Parents Ohio Department of Education Parent Portal page. https://public.govdelivery.com/accounts/OHED/subscriber/new Parents can subscribe to Ohio Dept. of Education email updates on testing and many other topics related to education in Ohio. http://www.readingrockets.org/audience/parents Reading Rockets is a website designed to provide parents with resources and strategies to support literacy at home. http://www.colorincolorado.org/families/ Colorin Colorado is available in English and in Spanish and provides resources for parents to support literacy and English language skills at home.